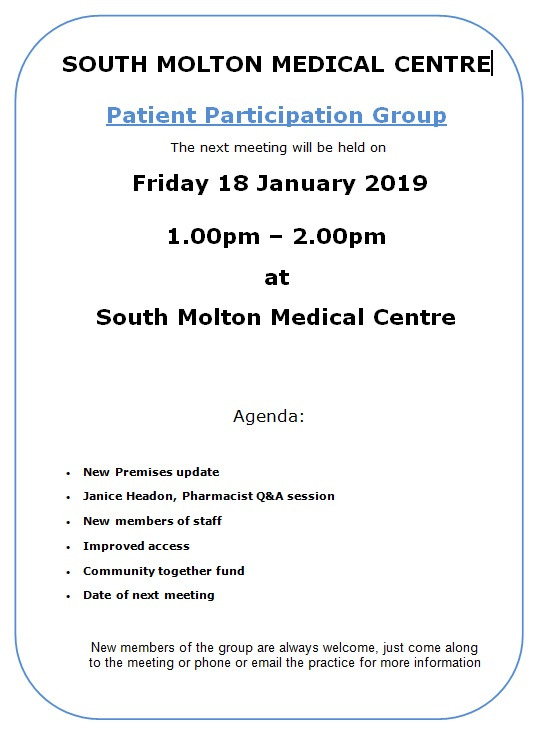 Staff from the Medical Centre will be at South Molton Library on 17th January 2019 from 10am to 11am offering blood pressure and health checks and advice on healthy eating and help coping with addictions. No need to book, free. Ex-president Barrie Lewis –Ranwell from South Molton Rotary Club made a donation to the Medical Centre from his year in office. The practice is pleased to announce it has purchased a further ear irrigation machine to treat the patients of South Molton. 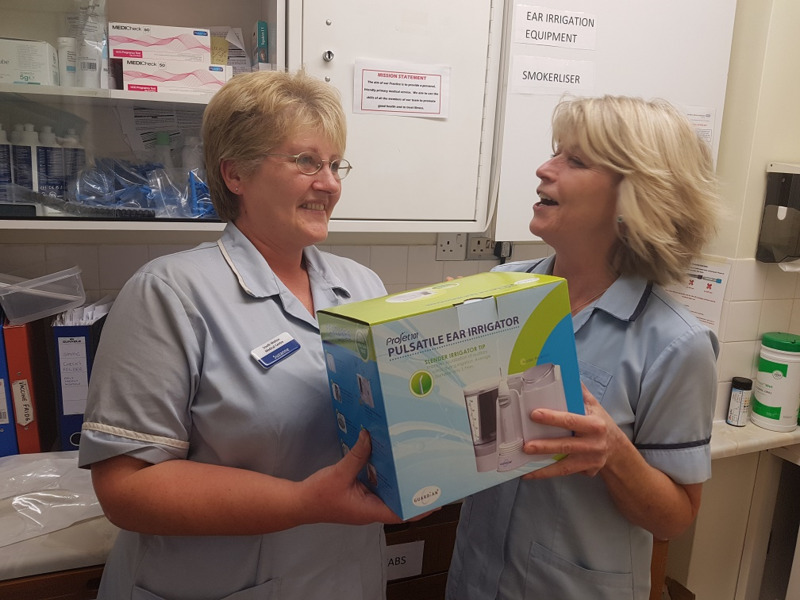 The Health Care Assistants offer this service on a Friday afternoon and the additional equipment will enable us to offer the service more widely. Pictured with the new piece of equipment are two of the Health Care Assistants. South Molton Medical Centre are grateful to South Molton Rotary for their kind donation. At the end of September 2018 the practice is saying good bye to Dr Pete Miller who is leaving general practice to take up a new venture. We are all very sad to see Dr Miller leave us, but I am sure you, like us would want to wish him well in his next challenge. Dr Ryan Strzelecki will be looking after his patients for a few months whilst we appoint another partner. Some patients may remember Dr Strzelecki from his time at the practice a few years ago. Dr David Burton ST2 is also working with us currently and is with us until February 2019. Janice Headon our practice pharmacist has increased her hours and is available for consultations on Monday, Wednesday and Friday for medication queries and questions, this work is generally done over the telephone. Flu clinics this year will be on Tuesday 6th November, 2 - 7.30pm and Saturday 13th October 2018 at the South Molton Medical Centre. 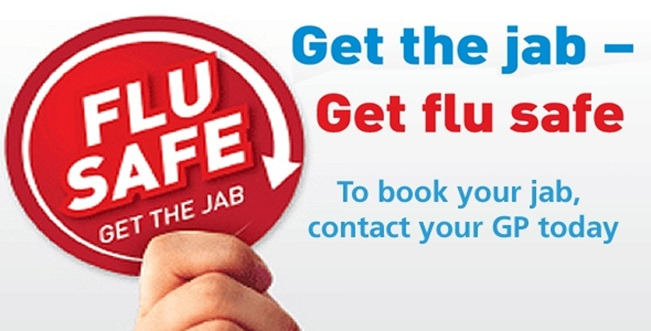 A free flu immunisation has been reserved for all patients in the priority groups. Invitations will be sent via email, text or letter invitation. Call reception today after 2pm on 01769 573101 to arrange your appointment. If you are registered for online services you can also book your appointment online. 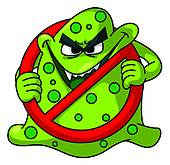 Flu is an unpredictable virus that can cause mild illness in most people. It can cause severe illness and even death among vulnerable groups including older people, pregnant women and people with an underlying health condition. Certain people are more likely to develop potentially serious complications of flu such as bronchitis and pneumonia. These people are advised to have a flu vaccine each year. 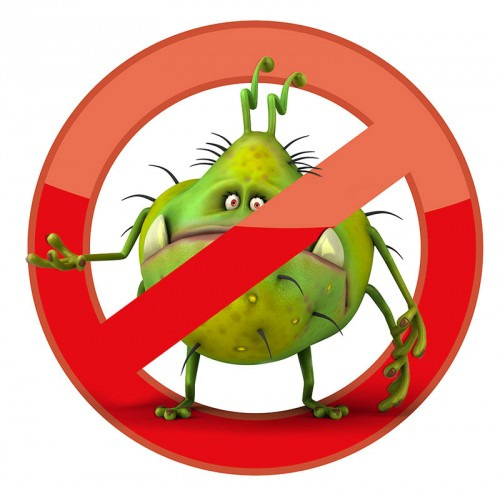 For otherwise healthy people flu can be very unpleasant, however most people will recover from flu within a week or two. Click here to see North Devon Pharmacy opening times for both May Bank Holidays. Please phone 111 if you need medical attention that cannot wait until the surgery reopens on Thursday 1st February or visit NHS Choices Self Help Guide or our own Self Help page for further assistance. 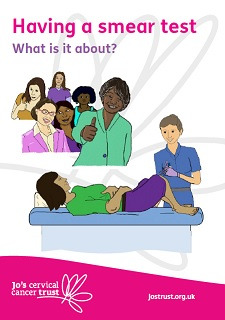 Below is an EasyRead guide for women thinking about having a smear test. It could help stop you getting cervical cancer. Merry Christmas to all of out patients! South Molton Medical Centre will be closed Monday 25th December, Tuesday 26th December and Monday 1st January 2018. Day Lewis Pharmacy and Boots Pharmacy will also be closed on the above days. To subscribe to future newsletters click here. Click here, Patient Online Access , to download and print the information leaflet and application form to complete and bring to the practice with the specified identification. Craig Rich, ex-BBC weather forecaster, delivers an important message on medicines waste. 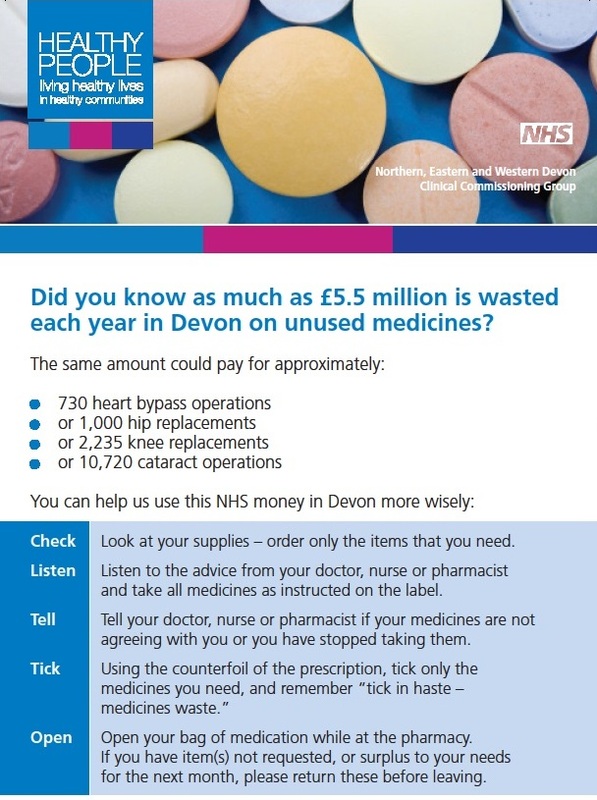 Did you know as much as £5.5 million is wasted each year in Devon on unused medicines? We will be holding flu clinics on Saturday 7th October and Saturday 14th October from 8.30am to 2pm. The injected flu vaccine is offered free of charge on the NHS to people who are at risk. This is to ensure they are protected against catching flu and developing serious complications. 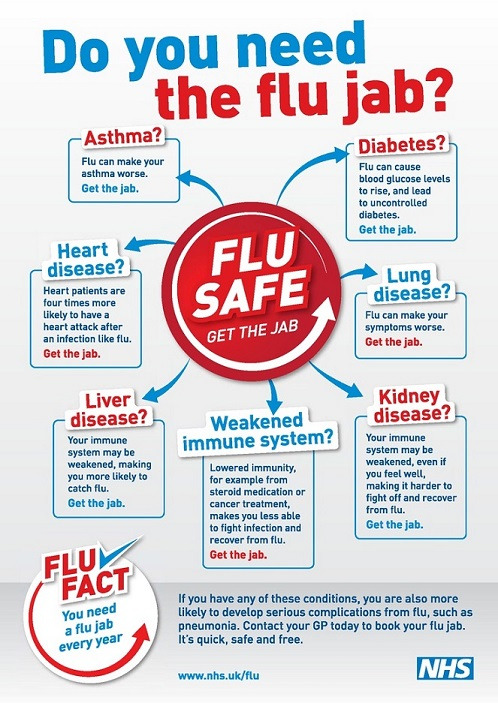 If you think you are in one of those categories, call us to arrange a flu jab at one of our Saturday clinics. Click here for the minutes of the P3 Group meeting of 31st August 2017. See our new Facebook page to keep up-to-date with our news, and to keep in contact with us! Click here to view the P3's minutes of latest meeting. Click here for the Aims & Ground Rules of the P3. Please click here to see a list of helpful book for people with long-term health conditions. The titles cover a lot of key information about living with a long term condition, but visit the Reading Well website (www.reading-well.org.uk) for further signposting and support. In the month of June, 274 appointments were missed: 93 GP appointments, 77 Nurse appointments and 104 HCA appointments. 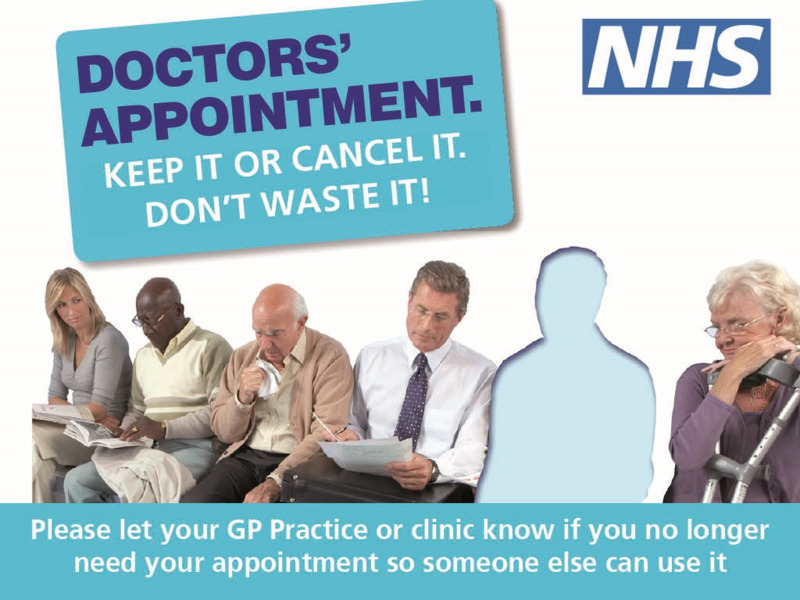 If you are unable to keep your appointment or no longer need it, please inform us so someone else can you use it. South Molton Medical Centre is taking part in an important national project about diabetes care and treatment in the NHS. The project is called the National Diabetes Audit (NDA). To take part, we will share information about your diabetes care and treatment with the NDA. The type of information, and how it is shared, is controlled by law and enforced by strict rules of confidentiality and security. To mark Diabetes Week, NHS England has produced the following short animation, following a fictional character's journey on discovering he was at risk of developing type 2 diabetes. From 1st April 2017, we are officially known as South Molton Medical Centre. As many of you will have seen, the building works to make us into one building has been completed on the ground floor and the old entrance to East Street Surgery is no longer operational. We wish to thank all our patients for their understanding and patience whilst this work has been ongoing. We hope you like the new style reception and waiting area; we are looking at the entrance currently and hoping to make this easier to access. When checking in at the reception desk you will be asked to take a seat in one of the designated waiting areas, depending on where the doctor, nurse or HCA you are seeing is located within the practice, if you could take a seat where requested, this will help us enormously, thank you. Our reception team are on hand to help with any questions you may have, and we have a suggestion box on the reception desk for your comments and concerns. We would value your thoughts, so please take a moment to fill in a message and leave for us. As well as the physically changes to the premises, we have introduced our Same Day Team, giving patients the opportunity to find help in the form of face to face appointments and over the telephone. This team includes a Nurse Practitioner, Duty Doctor and a pharmacist. Our reception team are a trained group of staff who would be better named “patient service advisors” and will play a key role in this process, so please be prepared to answer their questions and give as much information to them as possible to enable them to sign post you so you get the best possible treatment. You may also encounter doctors and nurses who you are not familiar with, but please be assured that your full medical records are available to them, informing them of previous medical conditions and medications you may have previously taken. A planning application has been submitted to North Devon District Council for our major build project. We are working with David Wilson Partnership in Barnstaple to deliver a facility which is designed to deliver modern day primary care to you. Whilst we are in the construction phase as it is our plan not to move out but to work around the build project which we realise will be challenging for everyone. At every stage we will be considering the safety of patient and staff and are working with a team of people to deliver this scheme. GPs and Staff of South Molton Medical Centre, 28th April 2017. 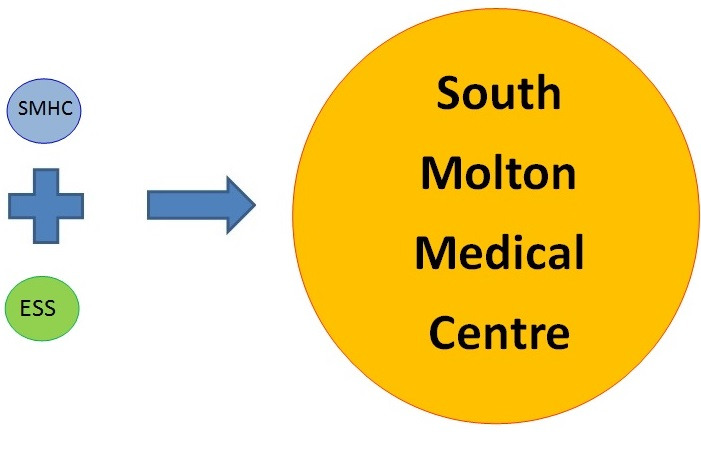 From 1st April 2017 the two practices have formally merged to become South Molton Medical Centre. From 1st April 2017, we are officially known as South Molton Medical Centre, as many of you will have seen, the building works to make us into one physically building has been completed on the ground floor and the old entrance to East Street Surgery is no longer operational. We wish to thank all our patients for their patience and understanding whilst this work has been ongoing. Which health service to choose? Following a letter which was received anonymously late last year, I am publically responding to explain the situation regarding patient confidentiality. The letter stated that some patients were unhappy about the medical receptionists having access to their medical records and that the medical receptionist asks private and personal questions. Firstly I can assure you that all staff working at the practices have undertaken confidentiality training and must adhere to strict rules to protect patient confidentiality. The receptionists are a very important part of the team and in order to ensure patients receive the best possible treatment they need access to patient medical records. The reason they ask what appear to be private questions is to ensure the GP or Nurse you are seeing has all the information and the correct allocation of time to deal with your problem adequately. It would be difficult for patients if they were booked in with a GP or Nurse who did not offer the service they required. The receptionists have been instructed on behalf of the doctors to ask these questions. I hope this alleviates any concerns patients have, but if not please feel free to speak to me regarding individual situations. Sign up FREE to join the community, get advice, get a progress chart, enter competitions and share your pics. Consider switching to a greener energy supply that offers energy generated in a renewable or sustainable manner. Would you recommend our practice to your Friends & Family? The Friends and Family Test (FFT) is an important opportunity for you to provide feedback on the services that we provide for your care and treatment. Your feedback will help us to improve services for everyone. The NHS 111 and out-of-hours GP services across Devon, Plymouth and Torbay will be integrated from October 1 to provide a more streamlined service, with quicker access to medical help and advice for patients. The new service will be known as the Integrated Urgent Care Service. 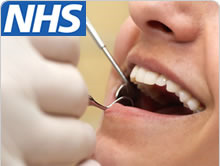 The new service has been planned following national guidance from NHS England. It will offer shorter waiting times for patients, with the introduction of appointments at NHS out-of-hours treatment centres and more home visits for patients who are unable to travel to see a GP at weekends and overnight. There will also be increased clinical support for the NHS 111 service so patients will only be triaged once. The new provider of the service, Devon Doctors, has an excellent reputation for delivering high-quality, safe services and has delivered urgent out-of-hours medical care across the county for more than 20 years. Flu can be really serious. Getting a flu jab can protect you all winter. It's free if you are pregnant, over 65 or have a heart condition such as sever asthma, diabetes, a chest/heart/liver/kidney complaint, lowered immunity or are a carer. Please call Reception to book a convenient time for your flu jab. Medicine Waste - we encourage patients not to hoard their medication. Community pharmacists can offer advice on how to ease your symptoms. 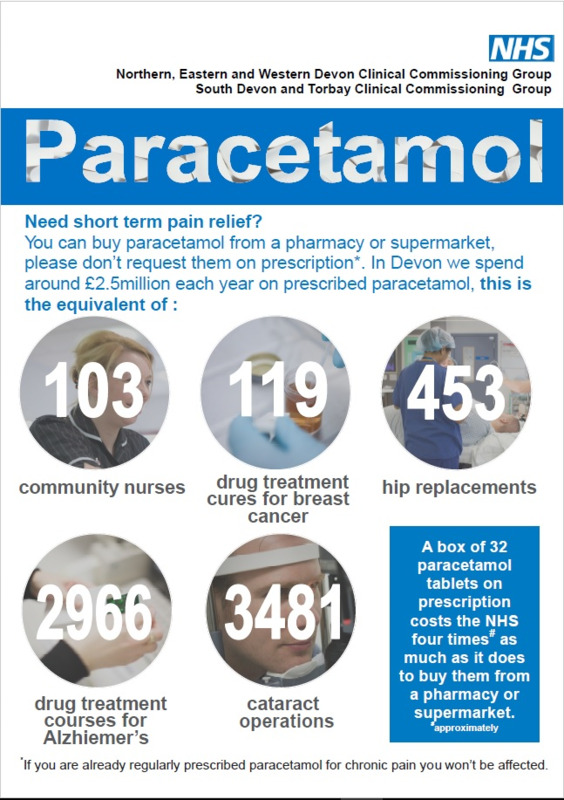 Many treatments can be purchased from your local pharmacist or supermarket, often at a very reasonable price and cheaper than the cost of the prescription. 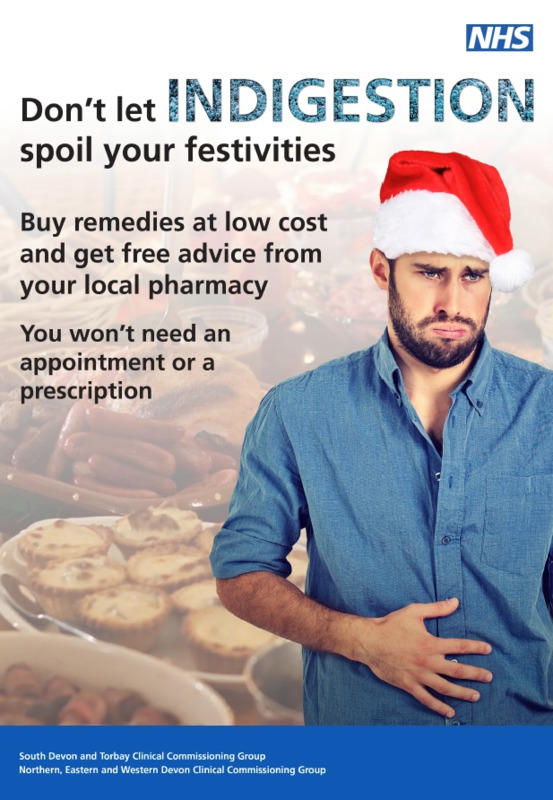 Most people will not need to seek medical advice for their indigestion. Shingles can be a very unpleasant condition that for some can cause debilitating pain and disruption to daily life. 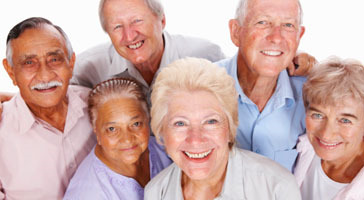 Shingles occurs more frequently in older people as the incidence of shingles increases with age. The shingles vaccine is given as a single injection into the upper arm. Unlike the flu jab, you'll only need to have the vaccination once. If your age on 1st September 2015 was 70, 71 or 72 you are eligible. You are also eligible if you were aged 78 or 79, although patients lose their eligibility on the day of their 80th birthday. It’s important that you don't leave it too late to have the vaccination, as your GP may only be able to give it to you before 31 August 2016.
and your NHS. 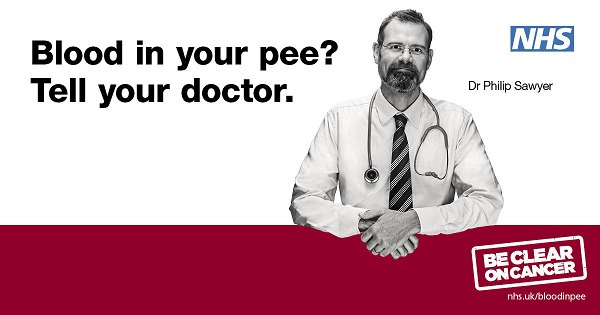 Please click here to view the guide to see which NHS service is right for you. If you have a little time to spare and are interested in becoming a volunteer car driver, to find your local Community Car Scheme please contact Devon Access to Services Project on 01271 859261. Barnstaple Link Centre are currently planning a drop in at South Molton for people with Mental Health issues; starting on Monday June 6th from 2pm - 3.30pm at Griffin's Yard in the café upstairs. 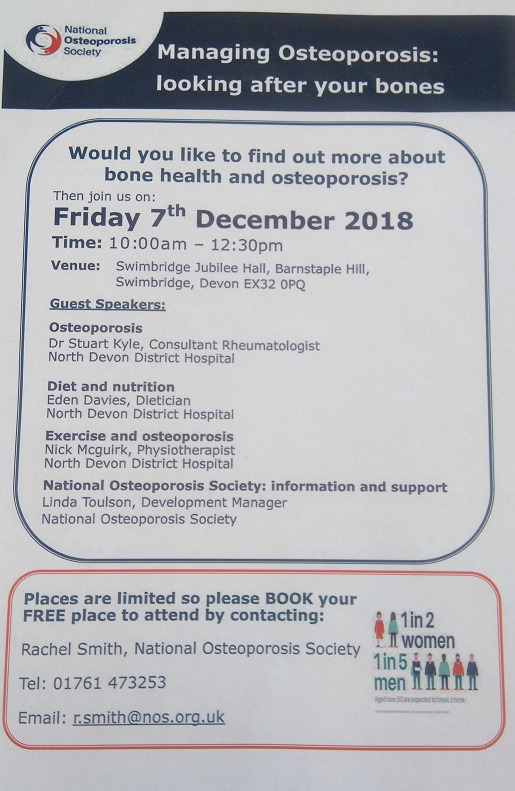 A member of the Barnstaple Link Centre Team will be there each week. Link Centre staff, known as support workers, are experienced in working with people with a wide range of mental health needs. They recognise that people's needs may change so are sensitive and flexible about how they can give support. For further info please contact Rosie Boundy or any of the team on 01271 322943. Community Connections help people and organisations get together to help people get the support they need. Click here for more information. to a non-emergency NHS medical appointment. Please click here to find the relevant Single Point of Contact telephone number for your local area. Alternatively, the South Molton and District Volunteer Bureau can provide transport to your hospital/medical, optician, dentist and chiropody appointments. If you change your name, address or telephone number, please let our Reception know immediately or complete this form. It is vital that we have your up-to-date contact details - if not, it could delay your care. W A R N I N G ! Regional cold calling patients scam-PLEASE READ! We have been made aware of patients being targeted by companies claiming to have access to medical records and information, who may try to get personal information from you or sell you goods, supposedly related to your 'medical condition'. Please let us know so that we can report it to the police and other agencies who will investigate on our behalf. Please be assured that we do comply with the Data Protection Act. We do not release any personal or medical information to external agencies without your explicit consent. 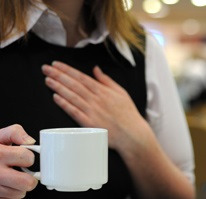 Fit for Work is designed to support people in work with health conditions and help with sickness absence. 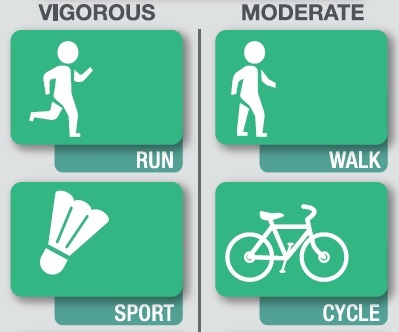 Being in work is an important contributor to good health. The longer someone is off sick, the harder it is for them to get back to work. Research suggests that being out of work for long periods of time is damaging to social and financial well-being, and health. The occupational health professional will identify obstacles preventing the employee from returning to work and produce a Return to Work Plan tailored to the employee’s needs. Referrals will normally be made by GPs but employers may also be able to refer an employee, if after four weeks of absence, they have not yet been referred. Employees will need to consent to be referred to Fit for Work, and for the Return to Work Plan to be shared with their GP and employer. Due to changes in our computer system, you will need to re-register for services and will be allocated a new username and password. This information will be issued on paper for you to collect from Reception. Please ring Reception on 01769 573101 who will gladly guide you through the process. CQC finds SMHC to be "effective, caring and well led"
On Tuesday 4th November 2015, the Health Centre had a comprehensive inspection by the Care Quality Commission. View the complete report on our Website on the CQC REPORT page. The Northern Locality Clinical Commissioning Group organises quarterly clinical educational events for our local GPs, this results in our Practices having to close for a half day when these events take place. The date of the next P3 Group meeting has been scheduled for Wednesday 14 September at 1.00pm at the Health Centre. Unfortunately we are having to cancel the July Meeting due to summer holidays already booked and a shortage of GPs and locums available to cover. after April 2016 in this Practice. Please check back then. Children in 'At risk' categories up to the age of 17 are also eligible. Click here for medical conditions which could put you at risk of flu. 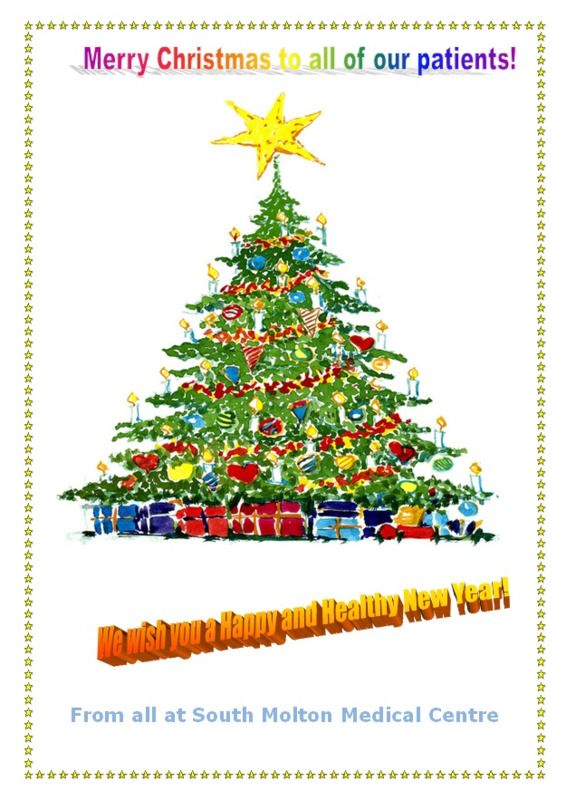 after December, but will occasionally do some work for the Health Centre in the New Year. 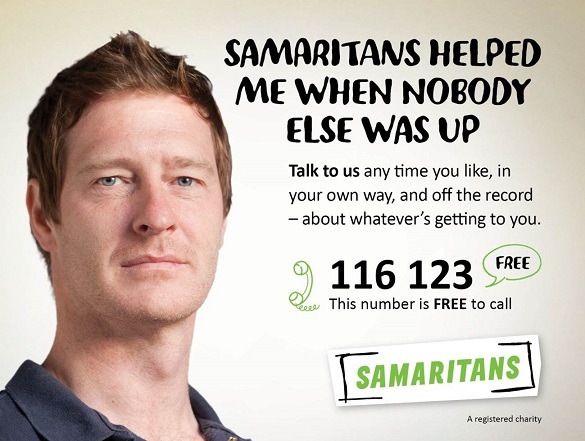 We have ‘Same Day team’ service on Monday mornings which we plan to roll out across the week in the future. The aim is to make sure patients who need Same Day care or advice are able to access the right care or advice from the right clinician in a timely manner. The same day team will be a Nurse Practitioner who can prescribe medication and a GP. They will work together and it will be their decision which clinician sees each patient based on the information they have about the reason for the appointment. Reception staff will not know who will be seeing the patient or which order they will be seen or contacted as these are clinical decisions. 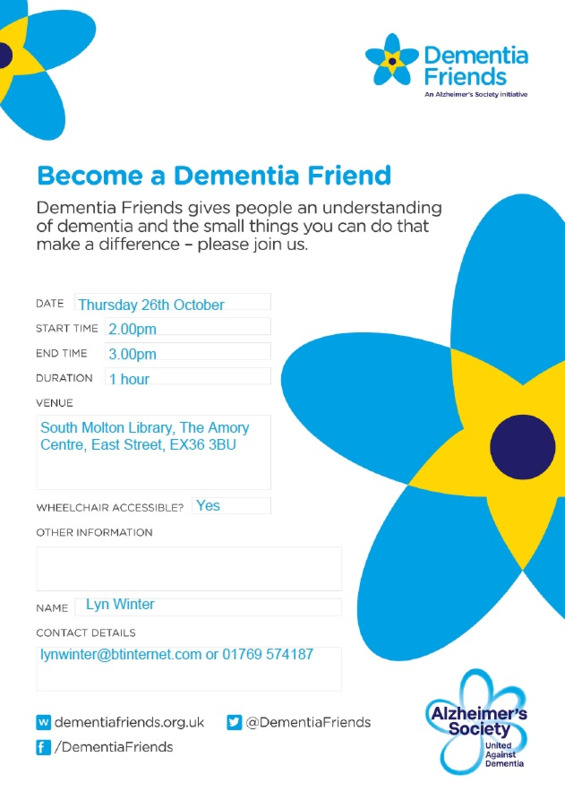 Two drop-in sessions are available at the Amory Centre, 125 East Street on Tuesdays 10 - 13.00 and Thursdays 10 - 15.00. Click here for more information. The practice will close at 12.30 on 9 December in order that all the GPs, Nurses and staff can join together for lunch and team training. This is an important annual opportunity to get the whole team together. Extra appointments are made available to patients for the morning before and after. Patients who have a problem during the afternoon that cannot wait until 10 December will still have access to a GP. East St Surgery will see any patients with Minor Injuries. East St Surgery can be contacted on 01769 573811. Click here for the latest minutes. Dr Helena Murch and Dr Jonathan Gillard leave on 30th June. Dr Chris Gibb is reducing his sessions and Dr Rebecca Geary will be working an extra day. We will be reallocating some patients accordingly to ensure all the GPs have a manageable workload. Most of Dr Murch’s and Dr Gillard’s patients will be transferred to Dr Sturley. All the GPs are assisted by Dr Kirsty Britten, our GP registrars and Foundation Doctors. Dr Helena Murch and Dr Jonathon Gillard are due to leave the Health Centre during 2015 to pursue different activities with their family. This spring we will be busy recruiting new GPs to come and join us. Our aim will be to find enthusiastic doctors with a passion for general practice who will share our commitment to delivering best quality services to patients. Due to the increasing scale of our operation we are moving! South Molton Branch of the Northern Devon Foodbank has so far fed 261 individuals (since we opened) and handled over 2½ tonnes of food donations. Carrying this amount of food up and down a flight of stairs is no longer viable. Our new location in town will give us a more prominent and visible presence and we hope that this will promote awareness. In short we aim for more professional social care agencies to distribute our vouchers and for more donations to be received to keep pace with the increase in demand that we are seeing over the entire region. A move of this sort inevitably has financial implications and any financial support individuals or organisations are able to give would be very much appreciated. We will also be available to receive donations at our new location each Tuesday between 1030 -1230. For more information visit www.gov.uk/phe or www.nhs.uk/ebola.